Belltown Seattle is one of the most densely populated neighborhoods in all of Seattle stretching from Westlake Center up to Denny way and from Interstate 5 to the water. Belltown is also one of the most popular neighborhoods with trendy nightclubs, unique museums, fantastic condominiums and a wealth of eclectic nightlife. Nestled between the Retail Core and Seattle Center, Belltown imposes a hip, contemporary and modern collection of dives, unique boutiques, pool halls and cafés. For years city officials have envisioned multiple ideas for Belltown including a working-class neighborhood to residential high-rise districts. However, today it remains an eclectic blend of all of these venues in amongst urban coffee shops, hotspot diners and multiple entertainment in theater options. Belltown is primarily comprised of high-end residential towers, condominiums and loft. There are no single-family homes in this neighborhood due to its high density and population. All real estate would be in the form of condominiums. Condos range in price from $300,000-$900,000 depending on size, condition and amenities. These are primarily one or two bedroom floor plans from 400 ft.² to 1200 ft.² on average. 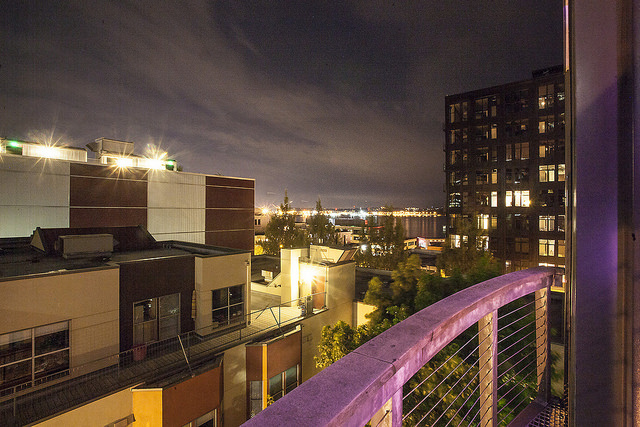 Belltown offers a variety of nightlife, breakfast options and fine dining services. There are over 80 restaurants in Belltown alone. Some of the more popular venues include Seattle Glassblowing Studio & Gallery located at 2227 5th Ave. This is a great adventure for anyone that appeals to the glassblowing style of art. Grab a date, a group of girls or your kids and enjoy an afternoon of glassblowing. The Olympic Sculpture Park is also located along Western Avenue in the Belltown neighborhood and is a collection of unique sculptures out in the open, perfect for touring or browsing on a sunny day. The Big Picture cinema and lounge is a great place to grab a beer and enjoy the latest flick. The Crocodile is a music venue and bar at 2200 2nd Ave , however this is not your typical rock concert venue. Tickets are fairly priced, it's a clean and trendy spot with local brews and great pizza. The 5 Point Café is also located in Belltown offering up some of the best breakfast in the city. Other venues not to miss is the Dahlia Lounge by our own Tom Douglas, the List and the Bathtub Gin & Co.
With a collection of annual wine festivals, pub runs and cinematography exploits, Belltown makes an ideal place only to visit but for locals to hang out, congregate and enjoy the best of Seattle. Search all Belltown condos for sale on our website.